Jason performed on talent night and amazed us all with his juggling. He is studying computer science and can pitch a tent very well. He was our fire master on our overnight camp. The 2013 LEAD event is about LEADERSHIP, EXPERIENCE, ADVENTURE and DEVELOPMENT. Over the course of one week, participants will have the opportunity to engage in activities that make up The Award alongside fellow participants from different Provinces. It is an opportunity to meet fellow Award participants in a unique setting, all while working towards your Award. The LEAD event will also count towards The Residential Project needed to complete the Gold Level. Lead will conclude with a forum, where we hear from YOU! Yes, you heard right. This is the opportunity for you to help shape The Award for future participants. For more information, please contact your Division to find out how you can be one of the delegates chosen to represent your Province, in the first ever Canadian Duke of ED participant event. Be part of the change. Be ready to LEAD! For 50 years The Duke of Edinburgh's Award has been helping shape young Canadians in to citizens who give back to their community and strive to the best they can possibly be. Throughout 2013 we will be celebrating this amazing milestone across Canada in a variety of ways, some at the national level and some at the local level. We encourage you to be a part of the celebration, because without many of you, reaching this milestone would not have been possible. If you have any questions about some of the upcoming events listed below, or would like to get in touch and reacquaint yourself with The Award, send us a note 50years@dukeofed.org. We'd love to hear from you. 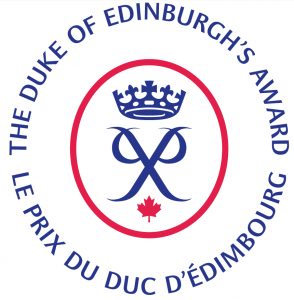 The Duke of Edinburgh’s Award in Canada relies on private and corporate donations to support the growth of the Award Programme; ensure all Canadians ages 14 to 25 have access to the benefits of the Award regardless of circumstances or geography; and expand the Award’s work with disadvantaged populations including inner-city youth, rural youth, aboriginal youth, young people with disabilities, and young offenders.